If you want to install Kodi KissCartoon addon, you first will need to have the SuperRepo addon repository installed. 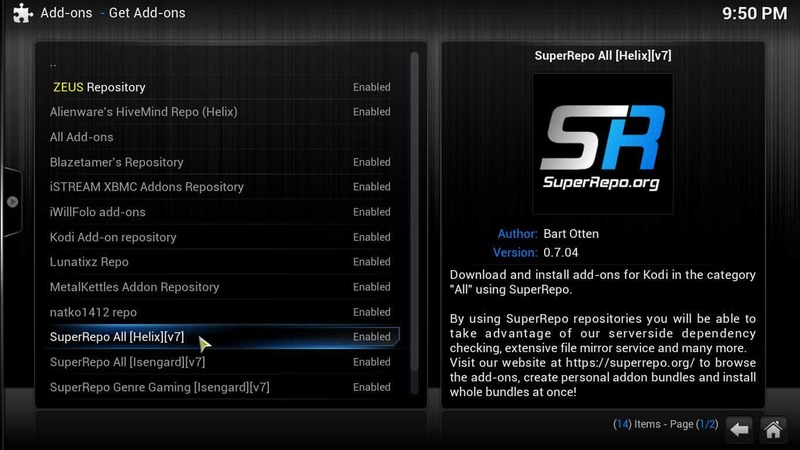 If you do not have it yet, we recommend reading our guide to install SuperRepo on Kodi. This way, you not only get access to install Kodi KissCartoon addon, but also any other of the more than 2000 complements for your HTPC that SuperRepo offers. After you have installed this repository, you will be closer to one of the ways to watch cartoons online Kodi can bring to your HTPC. How to Install Kodi KissCartoon addon? To install Kodi KissCartoon addon, one of the cartoon addons for Kodi with a great selection of content, you first need to head to System -> Settings -> Add-ons -> Get Add-ons. Once you do that, you should see a list with all of the repositories you have installed on your Kodi HTPC. To install Kodi KissCartoon addon, first look for your installed SuperRepo plugin repository. 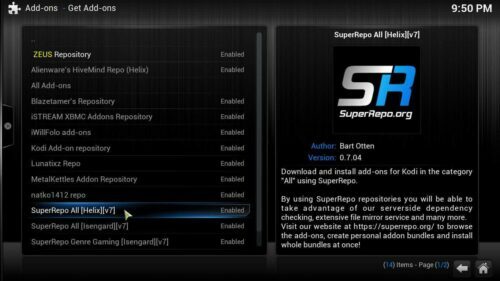 Select SuperRepo from this list, and after you click it, head to Video Add-ons. You will see a list with all the video add-ons available for you to install. In this case, browse the list until you find KissCartoon. 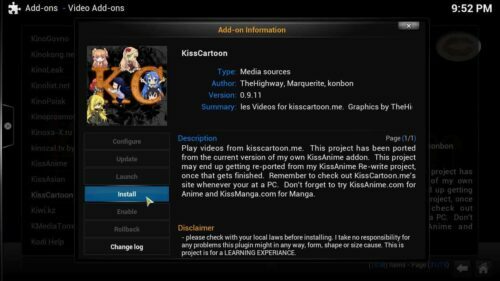 Browse the list of addons that appears, until you find KissCartoon. Click the addon; there should be a new dialog. To install Kodi KissCartoon addon, you should click the Install button in this new dialog that appears. Click the Install button and you will get KissCartoon on your Kodi HTPC. If you see this notification on the bottom right of your screen after a little while, it means the installation of KissCartoon was successful. And that's it! Now you can enjoy the wealth of content that KissCartoon offers for you, and the little ones at home. If you want to enjoy all the content this addon has to offer, simply go to the main menu, and from there select Videos -> Addons, and then browse the list of your installed addons until you find KissCartoon. There are several lists that sort the available content into alphabetic order, per genre, per popularity and so on. Depending on the skin you're using, you will be able to see thumbnails, fanart and even information about the show; using a skin like the Aeon Nox Kodi skin, for example. Overall, this addon brings a great selection of content to your HTPC, and if you combine the experience with a wireless HTPC keyboard and some popcorn, you are sure to spend quality time and bring joy to the kids at home.